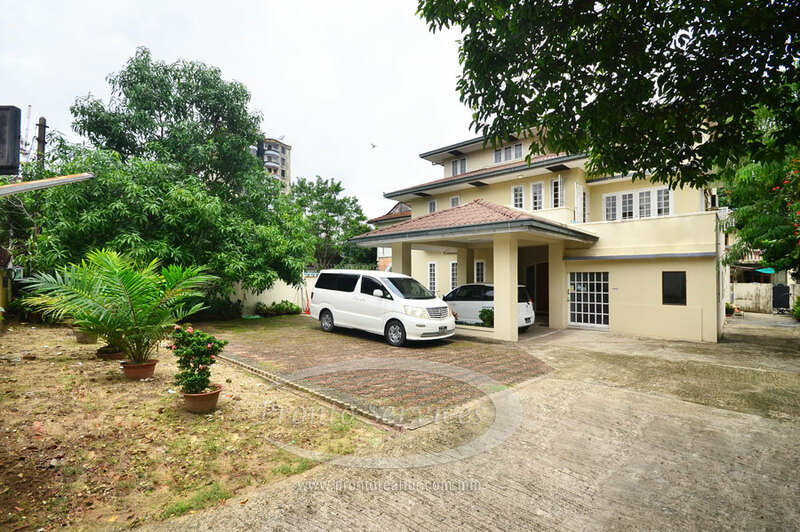 This 5 bedroom family house for rent in Kamayut offers a cosy abode for a family that want to be within easy reach of the city, but not in it. With 6000 square feet of space there is more than enough room for the whole family. The house has lawns, tropical plants surrounding in its compound makes outdoor relaxation a natural part of the daily routine. Built over 3 storeys the living space covers half of the ground floor with lots of polished wood flooring and lounge spaces that have sofas and armchairs, teak tree table. The kitchen has good size cupboards and drawers above and below the generous work surfaces, a double sink. The 8-place wooden dining suite is located close by and is also near floor to ceiling windows which allow lots of natural light into an already bright space. 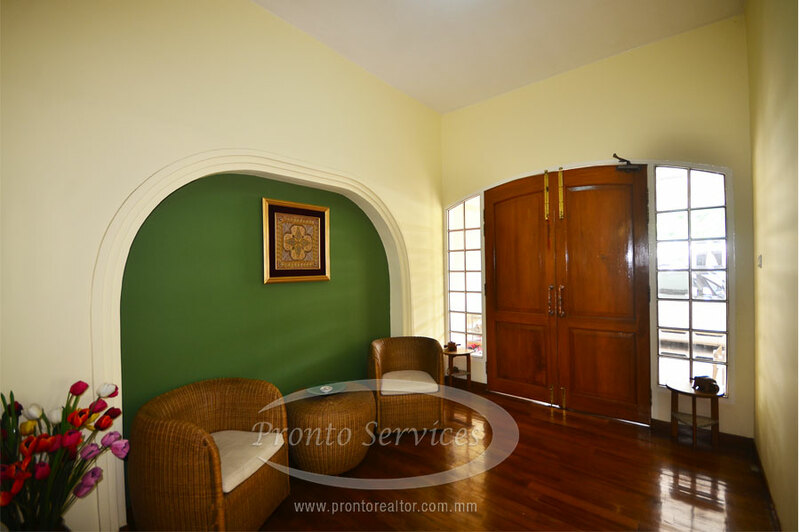 Access to the upper 2 floor is via a lovely wooden staircase that adds to the style of this welcoming home while the comfortable 5 bedrooms invite a good night rest. The bathrooms have been finished to a high standard and include wash basin vanities, modern w.c.’s and a mix of bathtubs and enclosed shower units. 2nd Floor has balcony will make yet another perfect retreat when it is time to watch the day awakening or as night draws in. 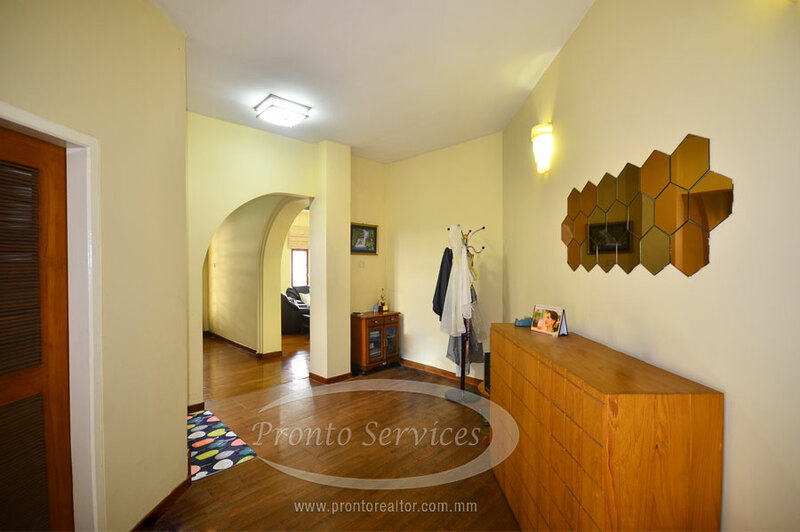 Location: Everything required is within 1 km of this inviting home. This includes an Expressway entrance nearby shopping center and local market. Welcoming Home available immediately and key feature is perfect location in town. Call us now for your home inspection! I'm interested in viewing about the property (#5310). Please contact me. Thanks.